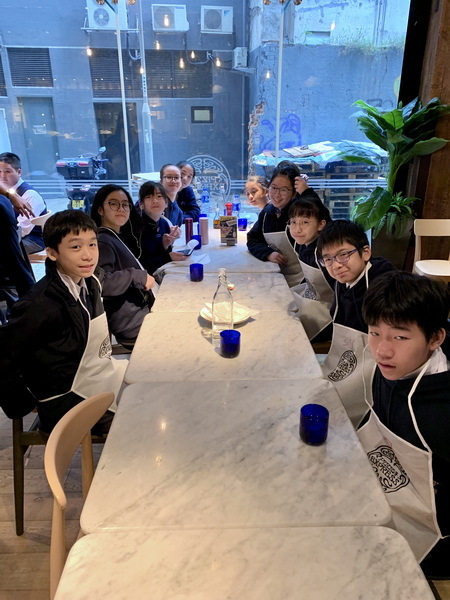 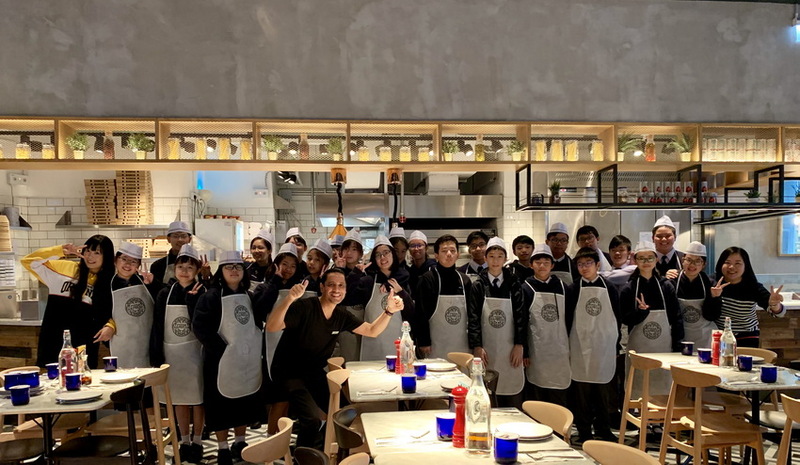 Twenty-five F.1 – F.4 English Society members and English Ambassadors have been longing to customize their own pizzas during this pizza-making workshop at Pizza Express in Sai Ying Pun. 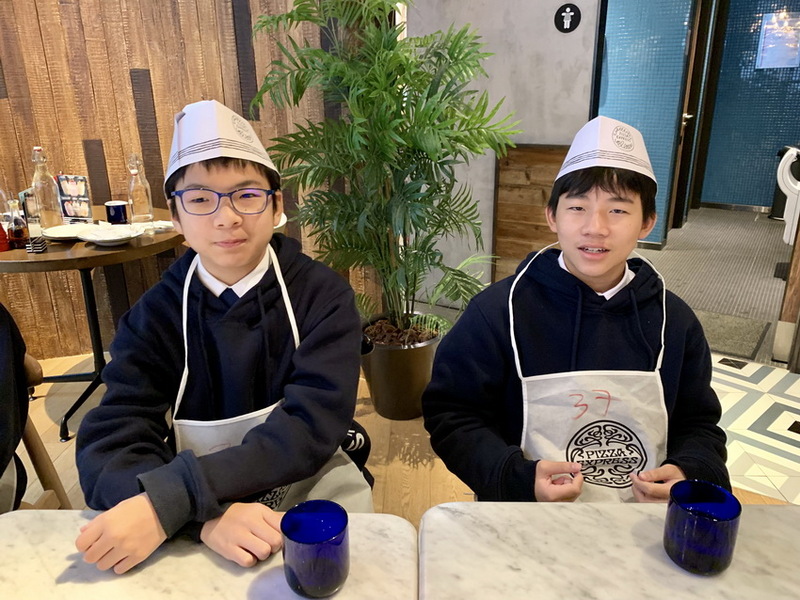 They were guided to handle the dough and ingredients as if they were master juniors. 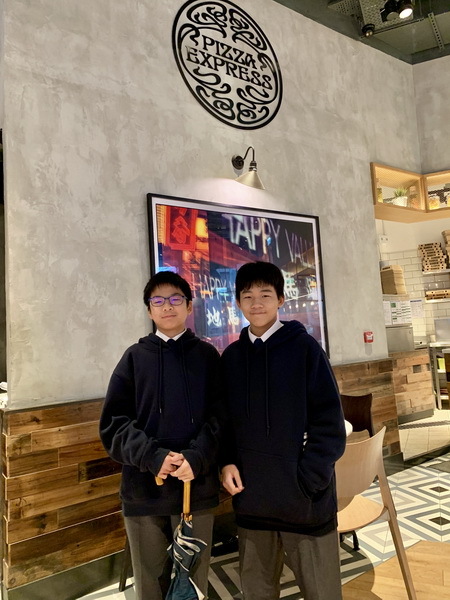 The English-speaking environment and the exotic décor had allowed students to gain hands-on experience as well as acquire vocabulary in a relaxing manner. 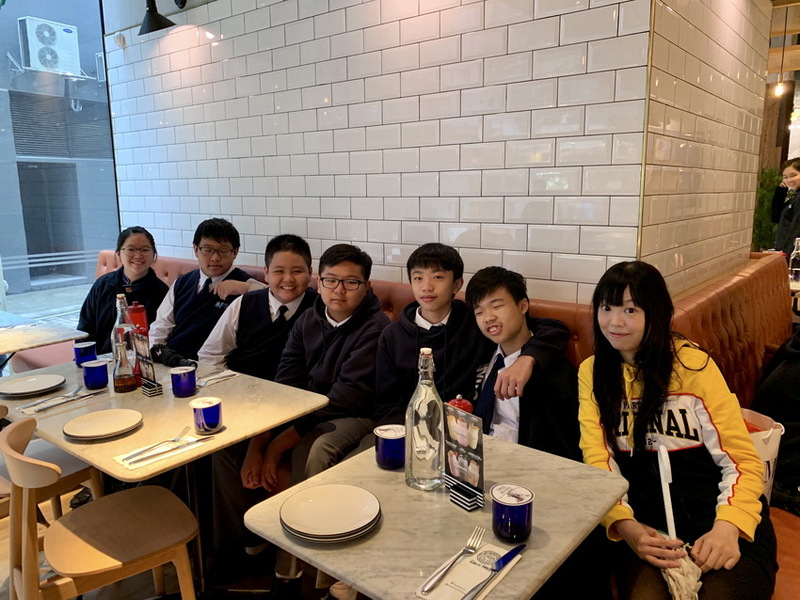 Let’s learn English in fun ways!